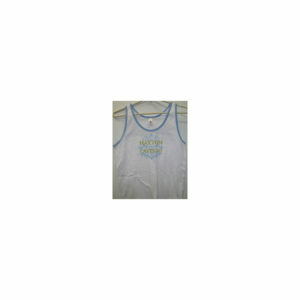 HATTON-CASTILLO Ladies White Tank Top w/ Blue Trim from The June 23, 2007 Fight in Las Vegas. 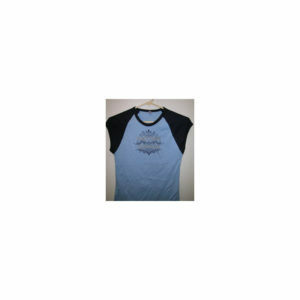 HATTON-CASTILLO Ladies 2-tone blue shirt from The June 23, 2007 Fight in Las Vegas. 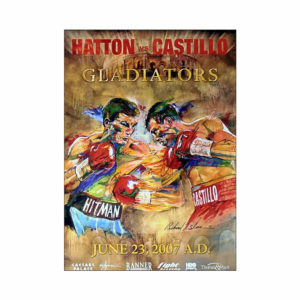 Hatton-Castillo 19″x27″ Fight Poster from the June 23, 2007 Fight in Las Vegas. 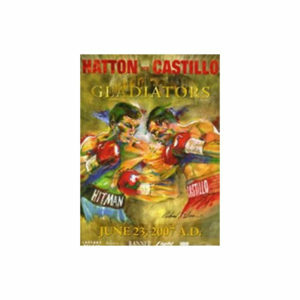 Hatton-Castillo Fight Program from the June 23, 2007 Fight in LAs Vegas.